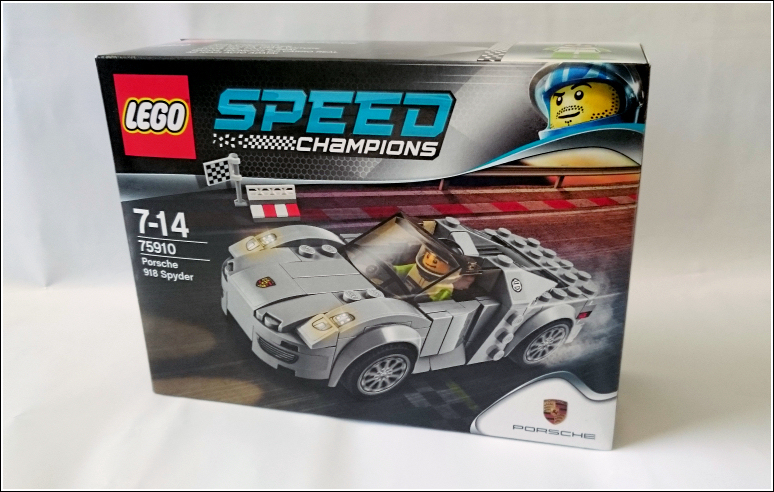 The Lego Speed Champions range features fully licensed models of the three most advanced supercars of the moment. 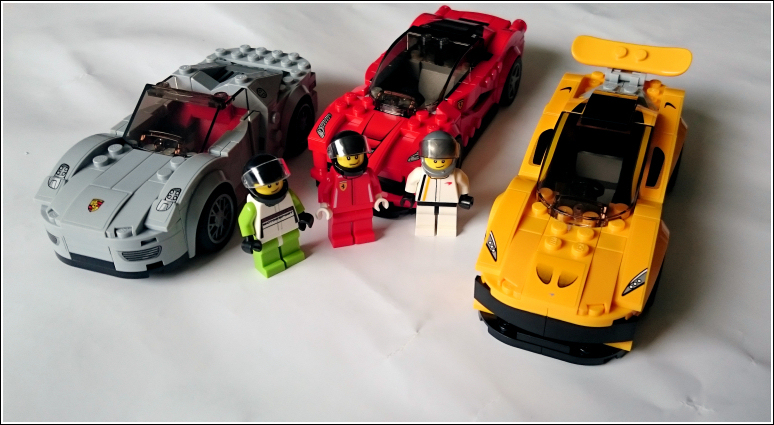 The Porsche 918 Spyder, Ferrari LaFerrari, and the McLaren P1. If like me, you grew up playing with Lego and happen to love cars, the opportunity to combine both is not to be missed. With that in mind, and after seeing all three cars up close at Goodwood, I picked up the three sets from the collection and set about building them. 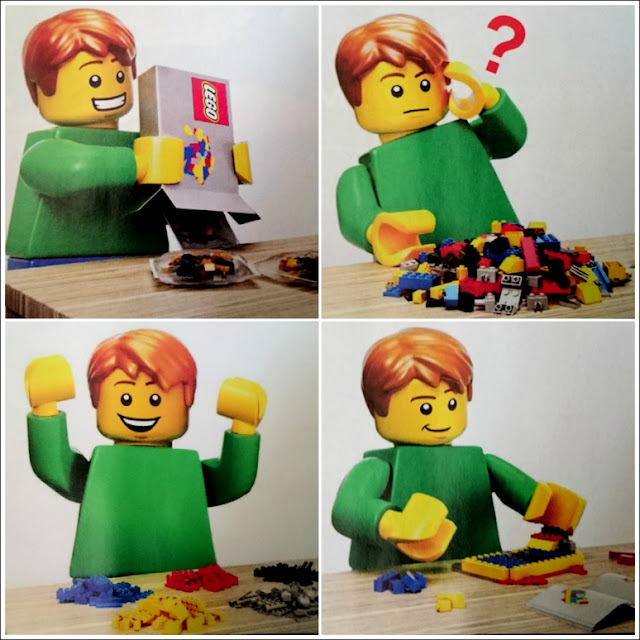 The first step in building a Lego set is to excitedly rip open the box and tip the contents out. Then open the individial bags and mix up all the pieces into one big confusing pile. Next up you need to look at the instructions and get the pieces in some sort of order, before finally commencing the build. 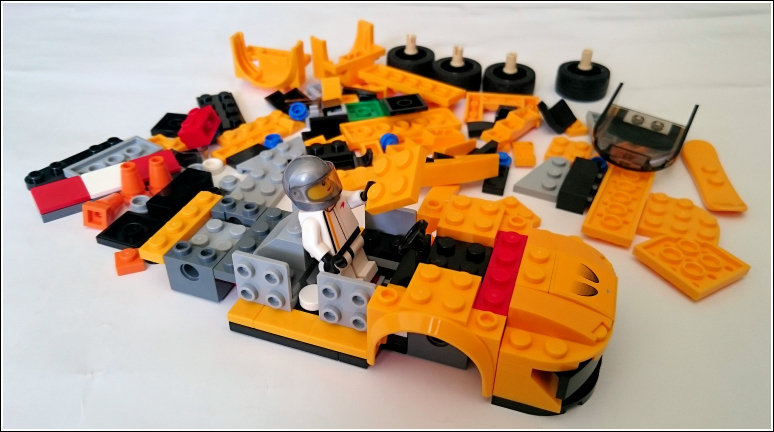 Let's start with building our very own Porsche 918 Spyder. Inside the box we find the pieces are divided into three bags, with a sticker sheet, and instruction book. 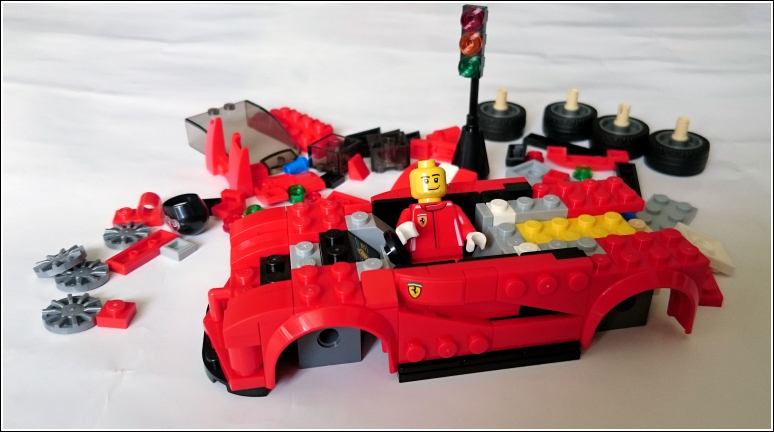 Some of these parts are bespoke to these particular models, likely due to the complexity of the car's design. 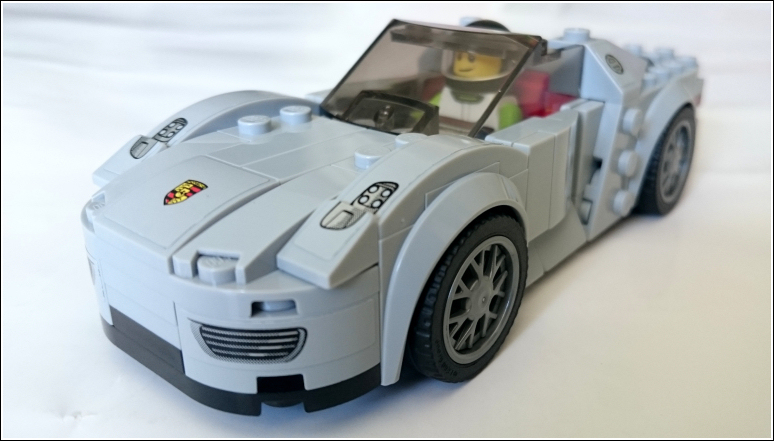 Each model also shares the same chassis, wheels, tyres, and wheel arches. 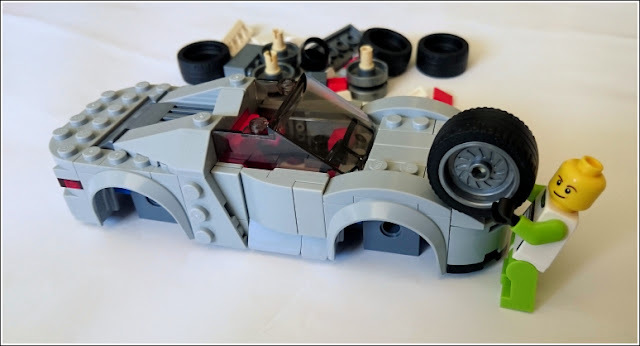 All of the cars have a choice of two alloy wheel designs. 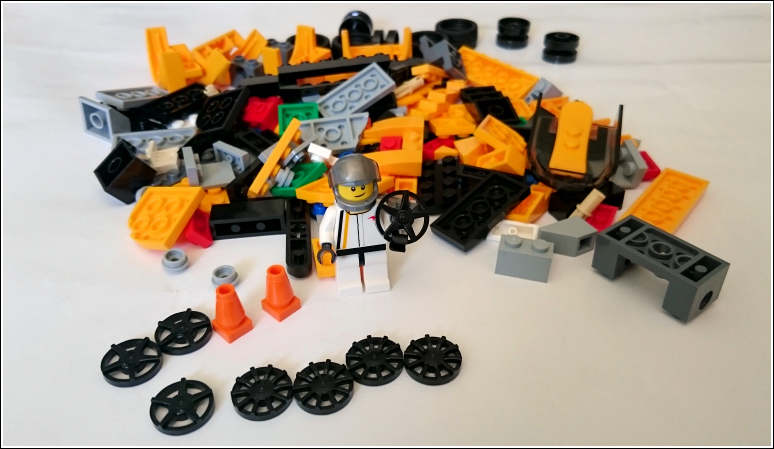 They use the same wheel but with a removeable centre, a bit like a hub cap. Behind the wheel rim design, you can see a slotted brake disc. 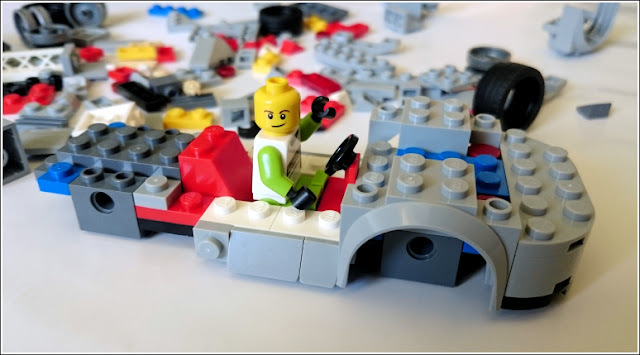 The tyres are a soft rubber compound featuring the Lego branding around the edges. 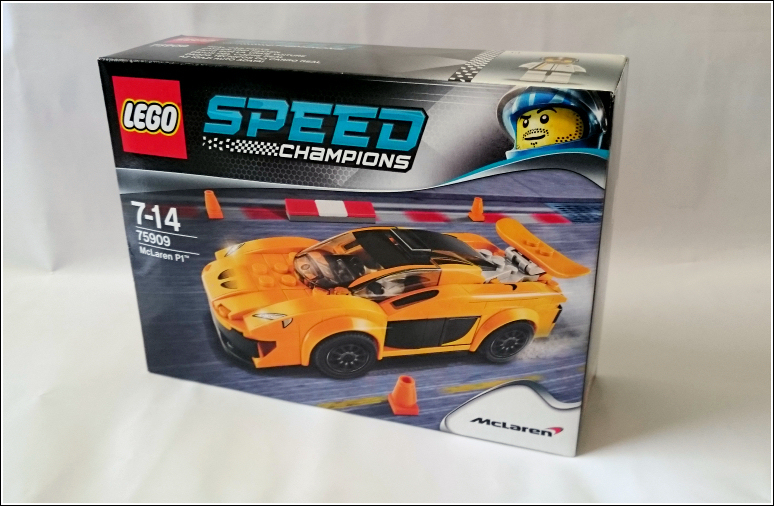 Sticker sheets are used to add the proper branding to the car along with details such as air intakes and exhausts, they can be a bit fiddly to apply. 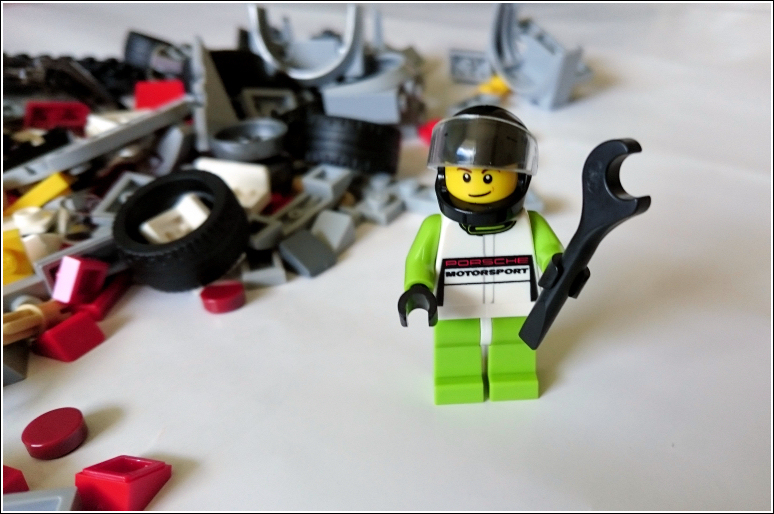 Each model also comes with a suitably dressed Lego minifigure, the Porsche driver here wears a Porsche Motorsport branded green race suit. He also comes equipped with a wrench which is used to change the wheel rims, and allows him to help out with building the car. 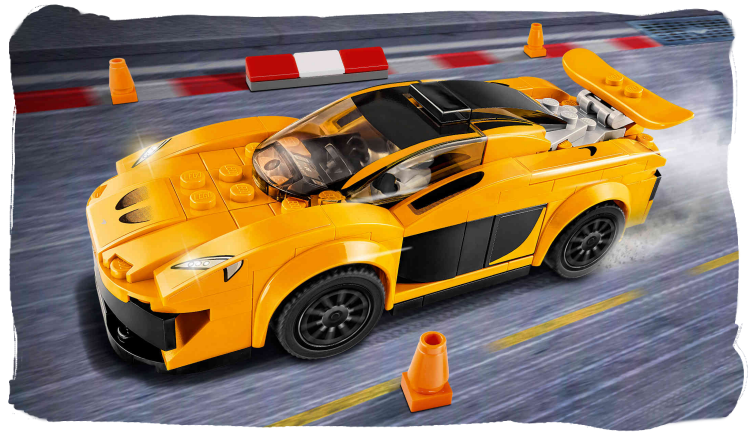 The models are fairly accurate representations of the real cars, as well as you can be on this scale with blocks anyway. They feel substantial too and very solidly built. For such a small scale some of the structure is surprisingly complex. 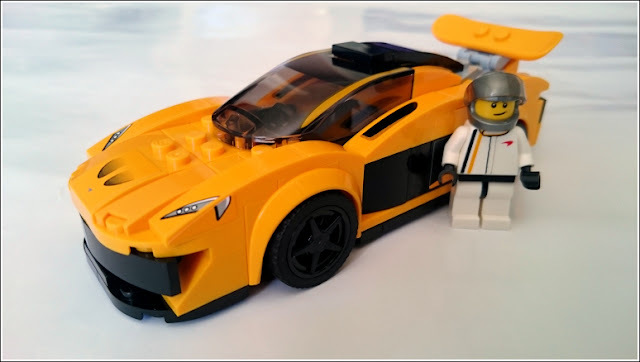 Next up let's take a look at the McLaren P1. It comes in a striking yellow with black contrast wheels and body details. The car also has a moveable rear wing, just like the real thing. 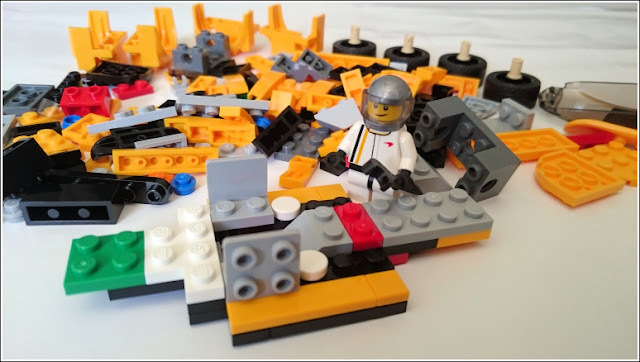 As with the Porsche, a minifigure is included, this time in a white suit featuring a subtle McLaren logo. Last but not least, the Ferrari LaFerrari. I was able to get close to one of these at Goodwood recently and it is a stunning looking car, like a road going fighter jet, with a noise to match. 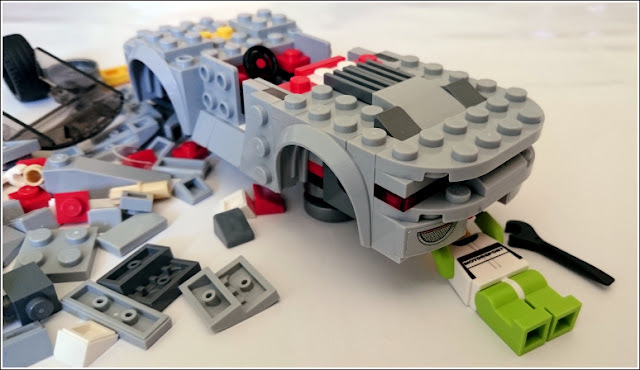 The Lego design does a good job at replicating some of the finer details. 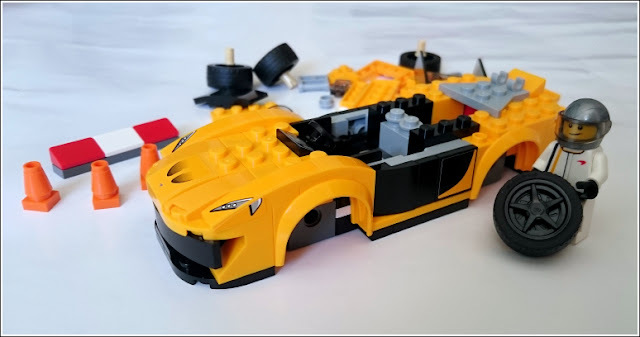 The front end for example uses a special piece to achieve the proper nose cone design, the sides are more complex than the other two cars, and even the rear end has special fittings for the tail lights. 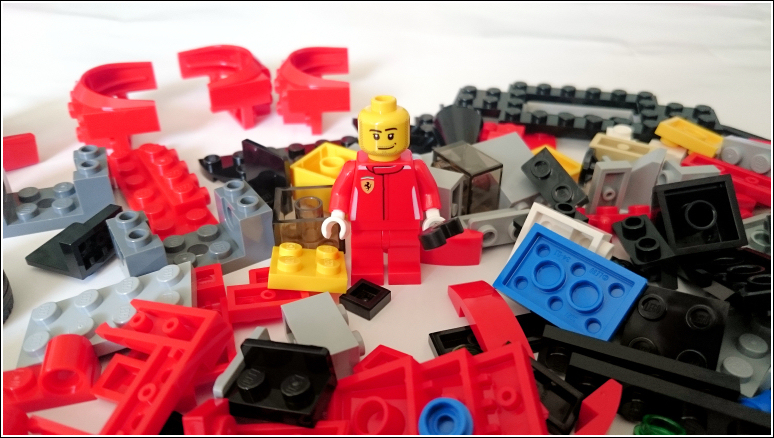 As ever a minifigure is included, this time dressed in a red Ferrari branded race suit. 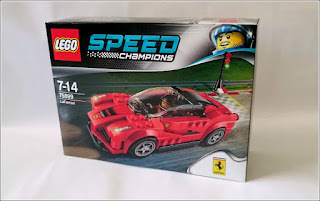 These cars retail around £12, but there are others in the Speed Champions range too. 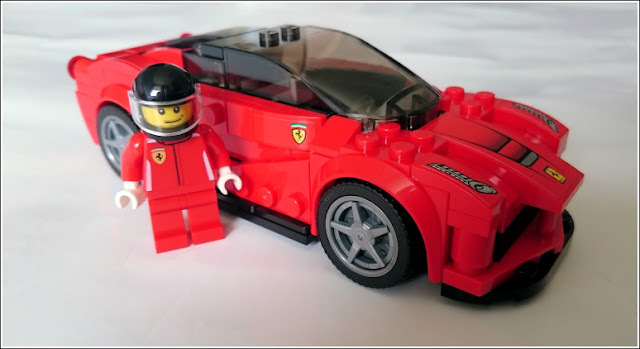 There's a Ferrari 458 Italia GT2, a Porsche 911 GT3 R, Porsche 911 RSR, and even F1 cars from McLaren and Ferrari. 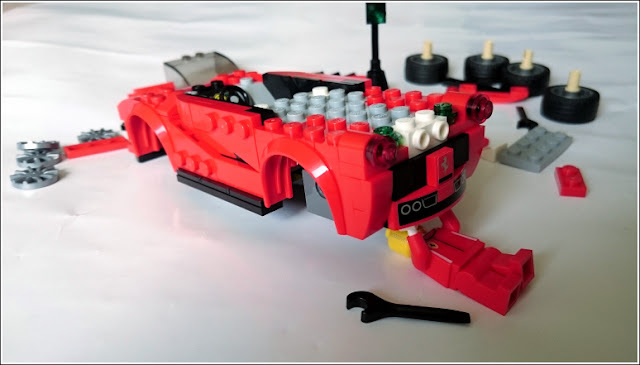 Lego recently announced a larger scale, more detailed model of the Ferrari F40 is coming soon - really looking forward to building that!